In recent years, more and more inkjet printer now come with external ink tank and today we would like present to you two popular 4 in 1 AIO Inkjet Printer with fax function as well as external ink tank. 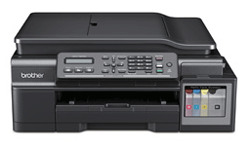 One such model is L565 from Epson which has print, scan, copy and fax function. It come with external ink tank that enable users to top up the ink themselves. Each bottle of ink cost less that RM 30.00 and able to print 4000 pages. Hence the printer is very economical to operate in the long run. This printer also come with Wifi and Wifi Direct connectivity and therefore support Epson iPrint, Apple AirPrint, Google Cloud Print, Scan to cloud and more. The printer use T6641 (Black), T6642 (Cyan), T6643 (Magenta) and T6644 (Yellow) Ink. Epson L565 come with 2 years warranty or 30,000 pages, whichever come first. The Brother T800w use Ultra High Yield Ink Bottles T6000 BK (Up to 6,000 pages @ 5% coverage) and BT5000C, BT5000M and BT5000Y that has page yield of up to 5,000 pages @ 5% coverage. Generally Inkjet Printers with external ink tank are cheaper to run and it is important to know that user need to use only Original Ink and the use of 3rd party compatible ink strictly discouraged as those ink may clog your print head. Since the original ink are cheap to purchase, there is no reason to opt for 3rd party other that those by Epson and Brother. The 30,000 Pages warranty for both printers should keep your printer running for quite a while. 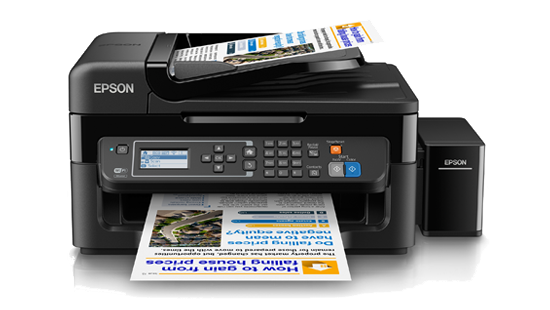 Do contact us if you are interested in either Epson L565 or Brother T800w Printers.